The other night I did something real crazy but real cool at the same time. I braved very cold temperatures and camped out overnight at Chick-fil-A. It was super cold that night, the low was 15 degrees. I camped out in a tent in their parking lot. Why would someone in their right mind camp out in freezing weather? I wanted to be the first 100 customer for Chick-fil-A's grand opening! Why you ask? I did it as that meant I would receive 52 free chicken meals. Now most of you know that I don't eat meat. Lets just say I did this incredible crazy experience for my husband who loves Chick-fil-A and to say "I did it." Was it worth it? I say yes, and I am asking myself why I did not do this sooner. So let me tell you more about my experience camping out at Chick-Fil-A. I had been wanting to do this first 100 customer thing for quite some time, but made all the excuses. I first learned about this fun event back in 2005 when Chick-fil-A opened in Albuquerque and though that would be so fun to do for free food. I guess the time just was not right. Two more stores opened before 2015 and I again made excuses. This year when Chick-fil-A announced that four new stores were coming near me, I decided this was the year I was going to be the first 100 customer. The first store opened and I chicken out did not go. When I later read in the paper that the store did not reach their 100 customer until 7:00 PM, I then made up my mind that I would go to the next grand opening which was the following week. I did and I am so glad I did. 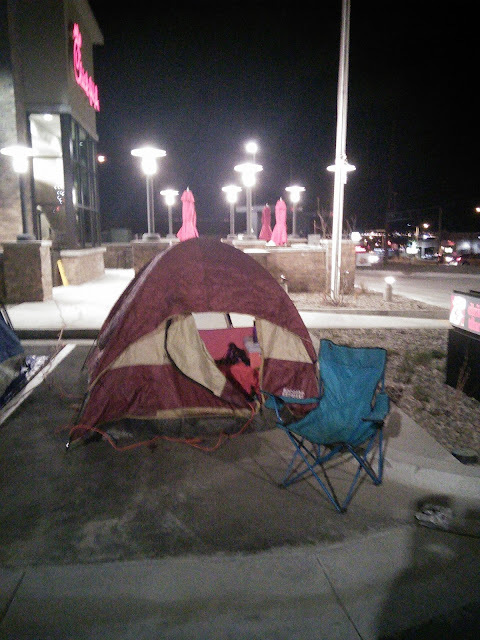 The first 100 customer day starts the day before the grand opening and you have to be there by 5:30 AM ready to camp out in the parking lot. The first 100 people who are there get invited to camp overnight for free food. If more than 100 people are there then they do a drawing to choose 100 people. The cold weather that day kept people away from being there at 5:30 AM that morning. When I checked their Facebook page that morning, they were saying they had plenty of spots still available. Now my boys were at school so I could not go until 4:00 PM. So I then started making plans to go. At 3:00 PM I wrote on their Facebook page asking if there was still spots in the first 100. They wrote back 30 minutes later and said there was spots, again the cold weather had something to do with this as usually all 100 spots are gone early in the morning. So I called my husband and told him my crazy idea of going to Chick-Fil-A's grand opening. That meant he would have to meet me there after work to pick up the boys as it was too cold for them to camp overnight. He said "go for it" and told his boss that he would be flexing his hours the next day to be able to come into work an hour late. 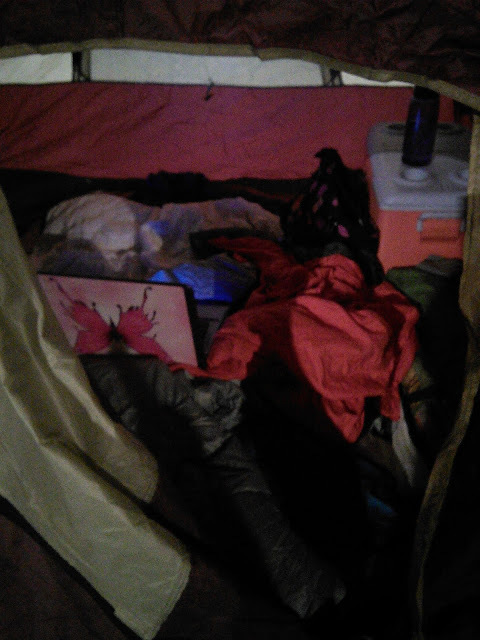 My husband also agreed to set up my tent, once he got there. I think my husband was excited for the free chicken sandwich meals. I gathered up my stuff-food, a tent, warm clothes, my computer, a mattress, and lots of sleeping bags. I could not turn back now. It took me 20 minutes to load the car and once the boys got home, off we went to Chick-fil-A. The boys and I arrived at 4:30 PM and I signed the forms to be allowed the privilege to camp overnight. I was number 41, again the cold weather was keeping people home as it was 25 degrees at that point. I unloaded all my stuff and my husband came to help me set-up my tent. There was no turning back now. The rules said I could not leave the parking lot or I would lose my spot and 52 free meals. The challenge was on and I was prepared to spend the night in my tent. I had my computer with me and there was free internet, I was good. I was glad my husband forgot to take two extension cords out of the car as the restaurant said I could plug into their outside outlets so I could power my computer. Mind you, not all Chick-fil-A's will let you use their power. , a sweat shirt, 2 fleece jackets, my bathrobe, a hat, gloves, and boots. I looked silly but I was ready for cold weather. Inside my tent I had mattress and lots of sleeping bags. I said goodbye to my husband and boys as they left. I sat inside my tent working on my computer until they called dinner line up. They had us line by our numbers to make sure we were all still there. This was a mandatory line up as if you were not in line when they called you number you could not be one of the first 100. This is a great way to make sure you stay in the parking lot. They then gave us dinner. They did this earlier for breakfast and lunch for those who arrived in the morning. After dinner a DJ played some music and had us do silly games for prizes like food and calendars. I chose to stay in my tent and work on my computer most of the time. Later that night they had another line check and gave us hot chocolate and a cookie. Then it was time for bed. Everyone went into their tents to keep warm. The temperature was going to drop to 15 degrees that night. I kept all my coats and boots on and placed two sleeping bags over me. I then attempted to sleep but did not do well as the passing by cars were noisy all night. Some people just stayed up all night talking. As I laid in my tent waiting for 5AM to come, that is when they would give us our 52 free meal card, I thought about how winter was for the homeless. Morning arrived and I survived the cold weather. I stayed warm under all my sleeping bags. My face did get cold a couple times during the night, but I just covered it up with my sleeping bag. Then it was time to pack up our things. I picked up my leftover hot chocolate thinking I could drink it, it was frozen solid. It then hit me of hot cold it was outside. I lined up again and they called out our numbers to make sure we were still their. Now before you start thinking that I could have left and came back, there was a security guard there all night protecting us and making sure no one left. They congratulated us for being the first 100 customers and gave us our prize- a gift card with 52 free chicken sandwich meals on it and a cool t-shirt. Would I do this again? You bet I would as I love free meals for my husband. There is another Chick-fil-A opening next month in my town. Want to join me for a crazy cold night? 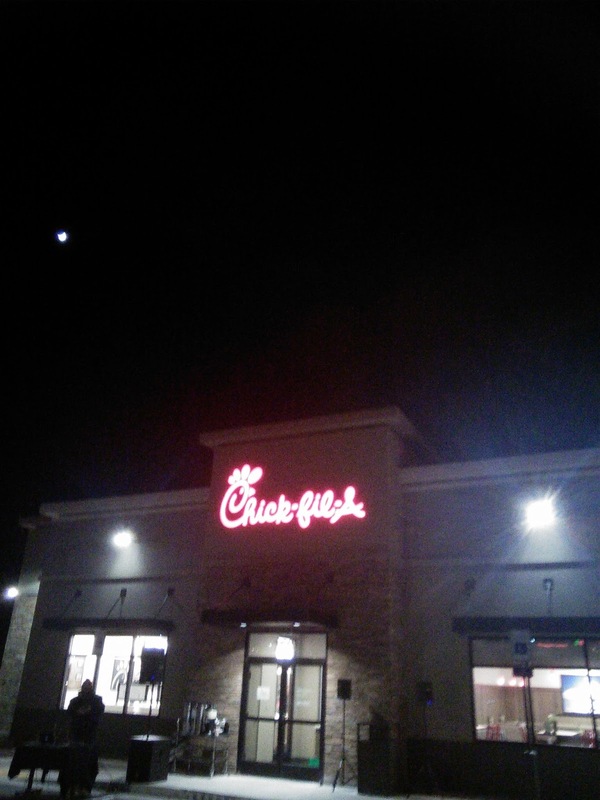 To find out more about the first 100 customer at Chick-fil-A and if there is a grand opening in your town soon visit the below link. Make sure to check out the rules too. Oh dear, I didn't know you had this in you! Good for you! Hope your husband enjoys the chicken! This is so cool! You are awesome! That's cool. A bit too cold for me, I'd hurt by morning down my spine. Glad you got your free meals. ;) Makes you feel bad for the homeless. Hopefully they can find a warm place as temperatures drop. Congratulations! I did see a long, long line when the Chick- Fil in my nearby town was opening. Too funny. I would totally do this with you girl and I don't eat meat either! I live in California so I would totally freeze my assets off, but it would be worth it to get those meals for someone I cared about! They sure would owe you one, right?! He does owe me but it saves us money as he likes to eat out once a week. Too bad you dont live near me. Wow, this is awesome! Good for you. Loved reading about it, but not sure I could do it. I don't even have a tent or sleeping bag. It wouldn't be that bad to do that here in Florida though, lol. Cool that they provided dinner and hot chocolate too. Could you go inside for bathrooms or were there portapotties? That's so cool and so cold, good thing you had all those layers! I would do it, too, now I'll have to see if there's one near me soon. I think it's worth it for us since my kids like eating there. What an adventure! I am so wimpy when it comes to braving cold weather, so I appreciate what you went through and your husband owes you big time - lol! And you are right, there are real folks that live in those conditions every day. Wow! You are one brave lady! So nice that you did that for your husband. wow, thats a harsh thing camping outside in the cold weather like that. Well Done. It's something you'll not foregt in a hurry. Oh wow, Tara. I gotta give it to you. What did you was so cool - I dont think I can do that. Lol. ooh, that was really cool and very brave of you to beat the cold night. Sounds like a fun adventure. You are a good wife! Not sure if I could have braved the cold temperature. Thanks for sharing! Ooh I would rather you than me I am not a fan of the cold but well done for braving it to win meals! That was a fun and memorable experience. I haven't done anything like this before! It sure would be awesome to try it, at least once in my life. Wow, that is really cool to be able to say that. I don't think I would last out there. Congrats! That's a lot to go through, but you can be one of the few who conquered! Way to go!!! I wouldn't mind trying something like this. You got to do something really nice for your husband, had a new experience, and saved your family some money for the year ahead. Good for you! 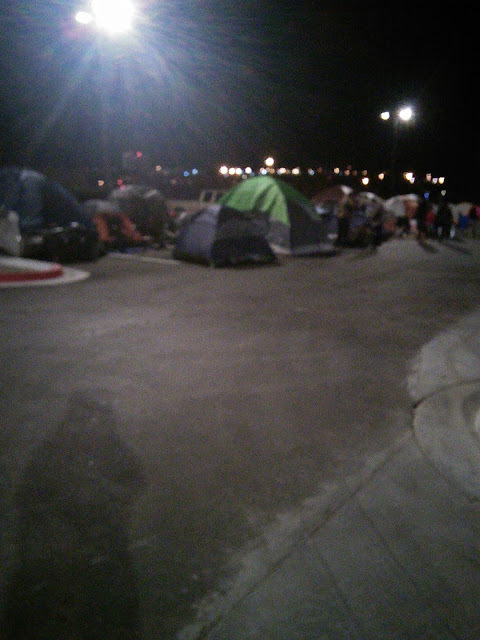 People have camped outside of stores for more crazier things. I for one love Chick Fil a! 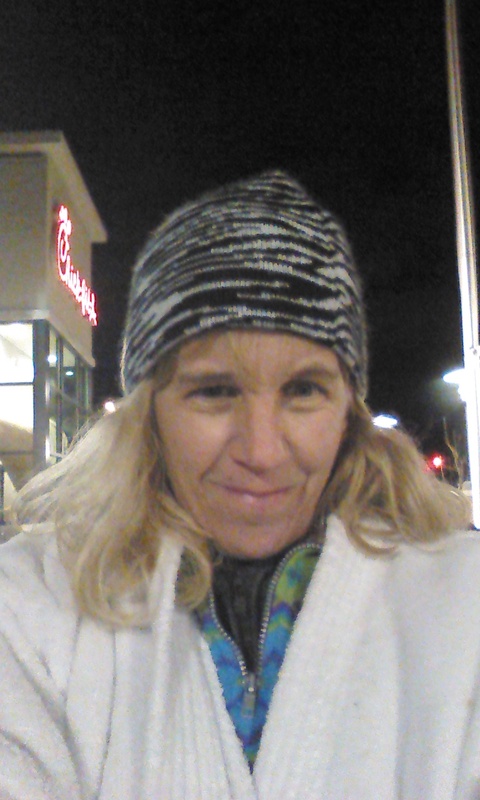 I love Chick-Fil-A but not sure I could have handled camping in the cold weather! Sounds like you had a great time though!